Wynn Boston Harbor is officially under construction. 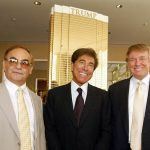 After three years of legal challenges, primarily from nearby Somerville Mayor Joseph Curtatone (D), Steve Wynn’s first domestic property outside of Nevada has broken ground. Construction equipment moved onto the 33-acre site and roughly 500 workers were reported to be on the job as of August 4th. “After three years and one of the most thorough licensing and environmental review processes in the history of Massachusetts, Wynn Boston Harbor has its license in hand and will begin construction,” Wynn Boston Harbor President Robert DeSalvio said in a statement. Massachusetts passed the Expanded Gaming Act in 2011 to authorize three land-based commercial casinos. The Plainridge Park slot casino opened in June of 2015, and the $950 million MGM Springfield is expected to open in 2018. Wynn Boston Harbor will be the state’s crown jewel. With 629 rooms featuring panoramic views of the Boston skyline, the casino resort will also come with a luxurious spa, retail space for high-end merchants, and public harbor walk. The project is the largest and most expensive private construction build in the history of Massachusetts. 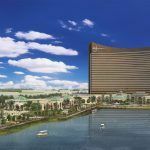 Originally expected to open in 2018, Wynn has been forced to delay that expectation by a year following the court battles with Curtatone. The location of the Wynn Boston Harbor isn’t actually along the harbor shores but across the Mystic River from Sullivan Square in Everett. The resort was originally called Wynn Everett. 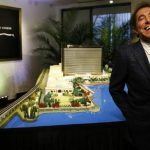 “We’re connected to it,” Steve Wynn said of the name change and the Mystic River’s flowing south to the harbor. The reality is Wynn Boston Harbor is closer to Somerville than the harbor. 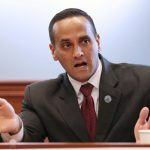 In January, the Massachusetts Department of Environmental Protection (DEP) issued its approval for the casino, but Curtatone appealed. He argued that the resort’s impact on the already congested Sullivan Square area would create unsafe pollution and wreak havoc on locals commuting from Somerville into Boston. Many believed it was a ploy to get more money from Wynn. Wynn Boston Harbor has agreed to pay the City of Boston $2 million annually for the next 15 years for infrastructure, but only $650,000 annually to Somerville. On July 22, the DEP granted its final verdict and issued Wynn its Chapter 91 environmental license. Curtatone had seven days to file another motion, but the mayor seems to have conceded at least the environmental permit. In perhaps a bit of yielding to Curtatone, the DEP reduced the permit for Wynn Boston Harbor from 85 to 50 years and added a requirement that the resort increase its open-air space. The 50-year-old Somerville mayor will be 100 when the permit is up for renewal. DeSalvio and Everett Mayor Carlo DeMaria (D) met on the Wynn Boston Harbor site yesterday afternoon to celebrate the commencement of construction. 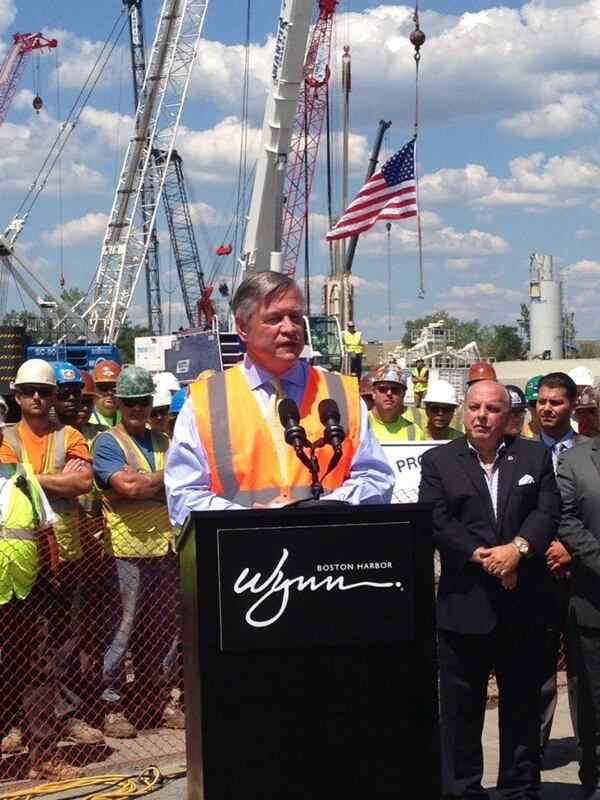 Wynn Boston Harbor will bring 4,000 construction jobs to the area and 4,000 permanent casino positions. The state will receive 25 percent of its gross gaming revenues, and Wynn paid $85 million for the gambling license.